Governor Ifeanyi Ugwuanyi of Enugu State and Fulani herdsmen operating in parts of the state, under the aegis of Miyetti Allah Cattle Breeders Association of Nigeria, South East zone yesterday initiated moves aimed at ending the lingering violent clashes between the herdsmen and members of their host communities in the state. Specifically, the herdsmen and the state government after a closed-door meeting at the Government House, Enugu agreed to set up a joint standing committee so as to entrench a lasting peace and harmony between the host communities and the herdsmen and also to curb criminalities suspected to be perpetrated by the herdsmen. It could be recalled that a disagreement between the herdsmen and people of Ugwuneshi community in Awgu council of the state had led to the arrest and incarceration of 76 members of the community at the Federal Prisons, Umuahia, Abia State recently. 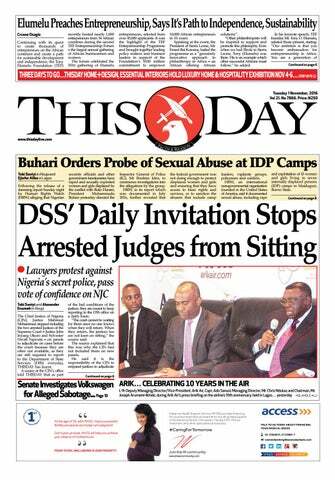 It took the timely intervention of Governor Ugwuanyi and his Abia State counterpart, Dr. Okezie Ikpeazu to get them released after two weeks in prison. 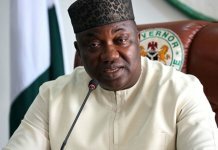 The latest decision which is expected to resolve areas of disagreement was a major outcome of a crucial meeting between the herdsmen and Governor Ifeanyi Ugwuanyi at the Government House, Enugu convened by the governor who had been seeking ways to arrest the growing insecurity generated by frictions between the herdsmen and members of their host communities. the cattle breeders and curb on-going frictions between them and their hosts, especially in view of the recent clash between Fulanis and the people of a community in Awgu council area of the state. The governor told them that “This meeting has been summoned essentially for purposes of entrenching peace in Enugu State. It will, however, dwell on recent happenings in the State which are not only posing a significant threat to peace and the security of lives and properties of our people but are also threatening to spiral out of control. 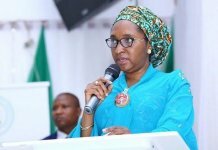 “We are all witnesses to the rising wave of undesirable incidents and criminal activities in the state particularly kidnapping, armed robbery and clashes between Fulani cattle rearers and farmers in some rural communities in Enugu State. 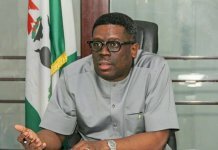 “We are aware that such incidents are currently promoting a sense of insecurity and restiveness among our people and if not promptly and effectively checked, could lead to a breakdown of law and order as well as avoidable but potentially lethal clashes between groups or communities in the state. exchange frank views and ideas as to how we can jointly reverse the current trend and consequently, preserve the peace and security for which Enugu State has long been reputed”, he told the visitors. 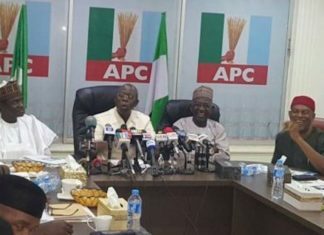 The chairman of the group of cattle breeders, Alhaji Gidado Sidikki, addressed the gathering enumerating incidents that had constituted sources of estranged relations between them and their hosts and appealed to the governor to do all within the ambit of his powers to reverse the situation. During the meeting, he interpreted the governor’s address to those who did not understand English language clearly and both parties agreed to set up a joint standing committee made of members from the breeders and the people of the state to forge a common front that would breed harmony. They agreed to go home and to later forward the list of those who would be in the joint committee from their side while the government would also produce a list from its own side.